Items are shipped within 48 hours of order being received. The Stoneline® 6 Piece Professional Pot Set is available for shipping across Canada. The shipping method you choose on the checkout page determines how quickly your shipped item arrives. Please contact our Customer Services Department regarding returns and/or replacement of the Stoneline® 6 Piece Professional Pot Set via our contact us page. The PFOA-free coating containing particles of real stone allows healthy and non-fat cooking, prevents food from sticking and is easy to clean. 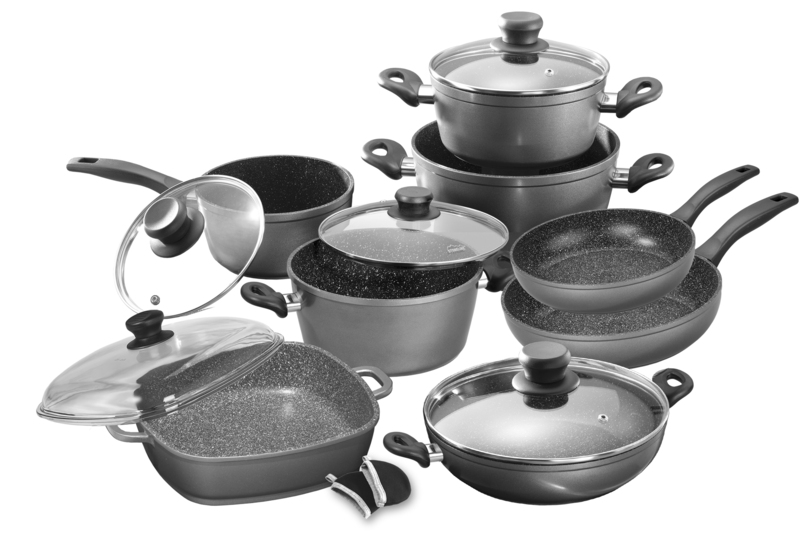 LIFETIME WARRANTY: STONELINE® Cookware has a LIFETIME warranty against warping or bending of STONELINE® Cookware bases. Warranty Details: Your new STONELINE® Cookware has been manufactured anticipating zero manufacturers’ defects with no defects arising from normal household use. Scratches and marks caused by metal utensils or cleaning in the dishwasher DO NOT constitute a warranty claim. The maintenance and care instructions must be respected. 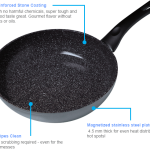 Accumulation of food residues following improper care of dirty pan may affect the non-stick coating and will not constitute an exchange under warranty. In the event warranty service is required due to a manufacturers defect the original proof of purchase must be presented, by the consumer. Upon receipt at Redfern Enterprises, item will be evaluated and a decision, at our discretion, as to whether it is misuse or manufacturer defect will then be repaired or replaced accordingly. All warranty shipping to Redfern Enterprises and return shipping to the consumer is the sole responsibility of the consumer. Return shipping cost of $19.95 per item must be prepaid. No C.O.D.’s will be accepted. Repair or replacement does not extend the duration of this warranty or begin a new warranty period. Warranty date is from the original date of purchase only, no exceptions. If identical items are not available at the time of replacement we reserve the right to substitute items of equal or better value, based on the original purchase price. Wear and tear around the rims of the cookware does not constitute a warranty claim. STONELINE® and Redfern Enterprises will not be responsible for any misrepresentation by Sales Representatives. Fry meat and fish like on a natural stone without using fat or oil –your food will not stick or fall apart. 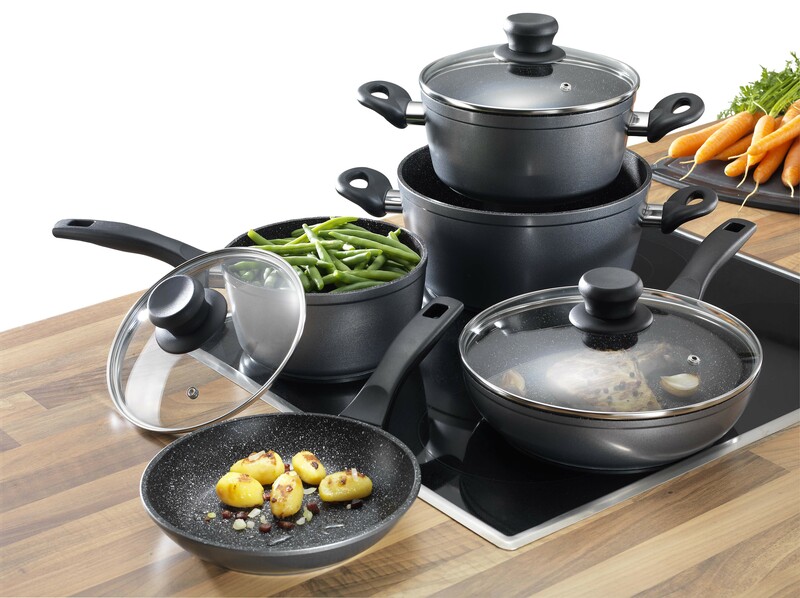 Thanks to the outstanding non-stick properties, the food can easily be removed from the cookware. Of course, you can also cook and fry using oil or fat, if you want. 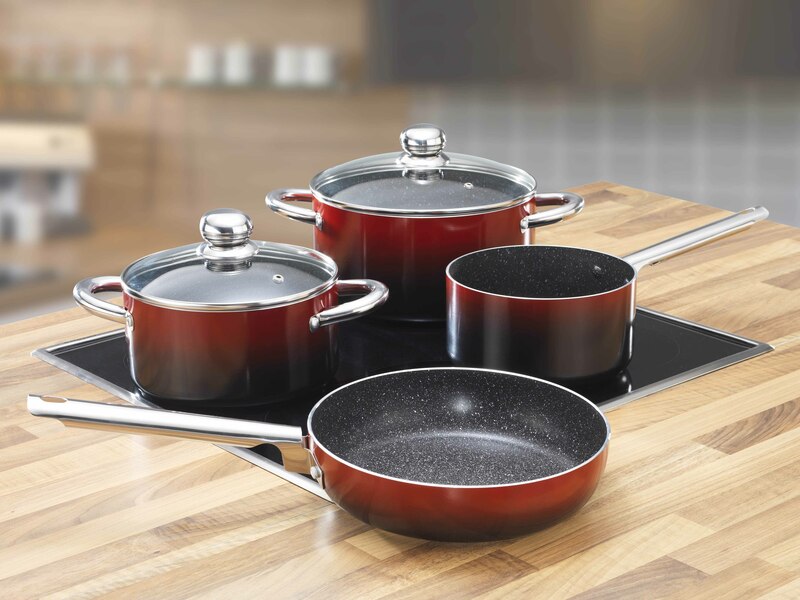 The coating of STONELINE® pots and pans provides a tough, robust surface, which is highly scratch-resistant. Thanks to the EASY-Clean effect, you can usually clean your STONELINE® cookware by using a damp cloth. Gourmets know: Food cooked or fried in STONELINE® pots and pans really tastes best! Just try it! 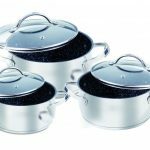 This Stoneline® Professional 6 Piece Pot Set is completely stainless steel that adds the sleek modern look to any kitchen. 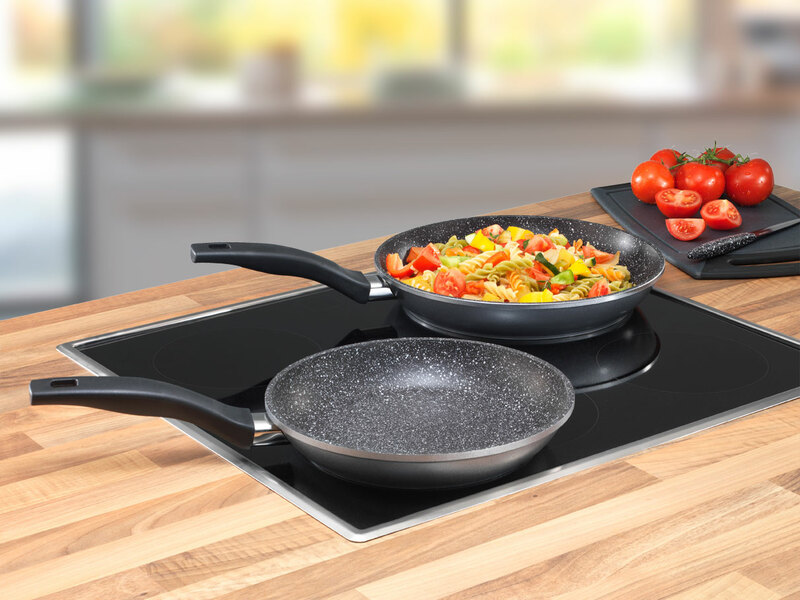 It features the original Stoneline® non-stick surface and has the magnetic base that allows for even heat distribution. Making it perfect for fat free, as well as induction, cooking. All the handles are stainless steel and bolted through. 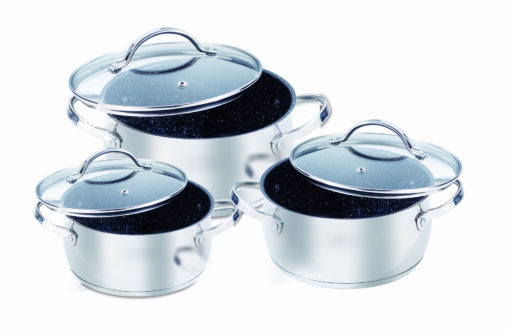 The Professional set can be placed in the oven to a maximum temperature of 400°C. Please use care as handles will be hot. Like our Facebook page and get 10% off from your order! You'll see the coupon code below as soon as you like us!